A report has come out detailing that more than 70 people have come down with the mumps in NY and NJ. If only we had a vaccine to stop these outbreaks! Oh wait, we do and started using the first incarnation of the vaccine in 1950. Currently Merck produces the Mumpsvax product for use in the US. Now I’ll note that a large percentage (75%) of the people who came down with the disease have been reported to have been fully immunized, but I suspect that the antibody response has waned since getting the vaccine as a young child. Most victims have been 10-15 years old and the age range of the infectd has been from 1 to 40. 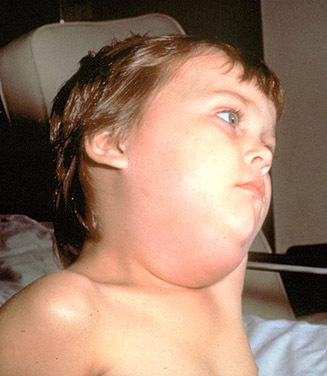 The child who originally came down with the mumps was attending a summer camp in Britain where vaccine rates are so low that many diseases have been once again declared endemic (most notably the measles). This started in the 90’s with Andrew Wakefield trying his best to fudge the science and blame the MMR vaccine for autism. Though his numbers have been shown to be manipulated, multiple studies have not found an association between the two, and Wakefield’s competing interests have been outed there still is a large sentiment in portions of the country that resist getting vaccinated. This leads to outbreaks like this. vaccine, why wouldn’t Merck make this available? !